The Shop CT – Building the best. Period. Our passion for cars shows in our service and quality work. Our knowledgable technicians will provide the service that only comes with years of experience. At The Shop CT we provide all the services your vehicle needs. We provide all type of vehicles services including repair, maintenance or oil change.We work on all jobs from beginning to end. Our goal is to provide each customer the highest quality and affordable auto repair Services. We Provide All type of Maintenance Services. Call us Today for Your Auto Maintenance Service. 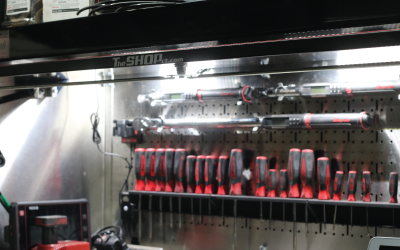 The Shop CT provides all your need for auto repair and maintenance services. Call us today! Why Choose The Shop CT ? We value each and every one of our customers. We take pride in our work and love seeing repeat customers to meet all of your automotive service and auto repair needs. We hold the quality of our service and parts to the highest standards. You can be assured we are using correct parts and all work done is inspected and tested before your car is returned to you. The Shop CT has been Owned and operated by Jimmy Kakaletris Since 2005. Our Automotive service goal is to provide each customer the highest quality, honest and affordable auto repairs and services. Our reputation has been built one satisfied customer at a time. We look forward to helping you with your automotive Maintenance, Repair and service as You Needs. Operating since 2005, Earning a Good Reputation in Auto Repair services. Seeing every job from start to finish. Jimmy and the guys down at the shop ct are amazing. from booking the appointment to paying at the end of your visit, they treat you with nothing but respect. They treat you like an actual person and not just a dollar sign. All the guys that work at the shop are extremely knowledgeable and definitely know what there doing. With the amount of cars you see going in and out of the shop you would feel more then comfortable dropping your car off here knowing it is in good hands. Best of all if they give you a price they hold to it no hidden fees or anything. I would recommend this shop to everybody and anybody who needs or wants something done to a car they do it right the first time. there is no better shop in CT then the shop CT. The Shop CT is a wonderful place to visit and also get your car serviced. My dad service his 2007 Porsche 987 Boxster with +100K miles at The Shop. When the car is done at the shop it feels like new even if it has +100K miles. The attention to detail and service minded staff is incredible when you visit The Shop. 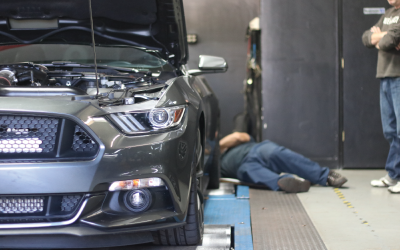 I find The Shop is one of the best high-performance service shops in CT. Jimmy makes sure that you are happy, engine and the car are happy with the service from the result of the job. If I ever wanted my little cooper to be tuned or get some advice I would come to The Shop immediately!! Even visiting The Shop you always learn something new about the mechanics of the car from the staff at The Shop. I would like to say thank you to Lisa and Jimmy for the amazing service. If you are looking for a place to reach your automotive goals then this is the place. They are so willing to help you every step of the way. The will go above and beyond to help you througout the process. I have been looking around for a while for a reliable and respectable place to tune my 06 STi and The Shop fullfilled all of my expectations. If you need work done to you car you NEED to go to THE SHOP CT.
We service and repair all types of vehicles including both foreign and domestic. We provides our customers with honest automotive repairs and guaranteed quality workmanship.